The specific context in which this research takes place is Amsterdam’s Marineterrein. The Marineterrein was established in 1655 by the Admiralty of Amsterdam, later known as the Dutch Royal Navy. The location of the site was chosen to allow access to prominent waterways, as well as occupying a central location in the city, enabling easy exchange of trades and labour. Over the centuries, the use of the site shifted from a ship-building wharf to an administrative centre, and the morphology of the site reflects this shift. The original 17th century architecture, such as the gatehouse that separates the site from the rest of the city, are still visible. However, the majority of existing buildings were erected between 1960-1980 (Gemeente Amsterdam, 2012). Currently, the Marineterrein is transitioning from a restricted naval site to open public space. 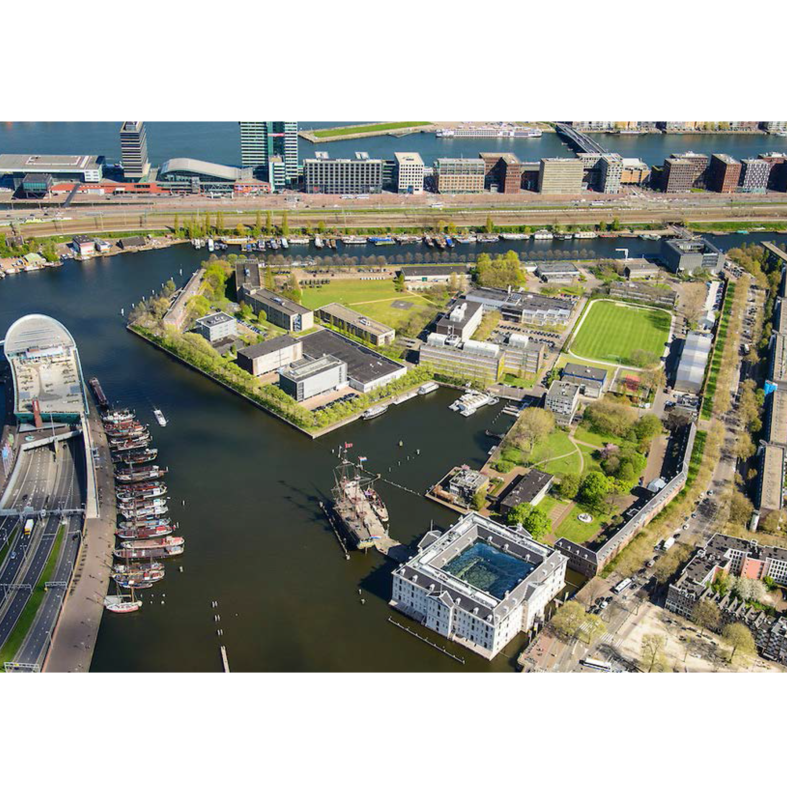 The City of Amsterdam is looking for ways to connect the Marineterrein to the urban fabric, draw on its historical identity and connection to water, and include smart energy infrastructure. The City is encouraging a ‘circular city’ approach and stresses that interventions should consider the adaptive and flexible needs of society. My objective is to combine the management of food waste with the public water leisure program of a bathhouse as a way to re-imagine energy production as contributing to valuable urban social space on the Marineterrein and the greater urban fabric. This paper attempts to understand the flows of waste, energy, but also water as it is strongly related to the theme of the bathhouse and the Marineterrein.